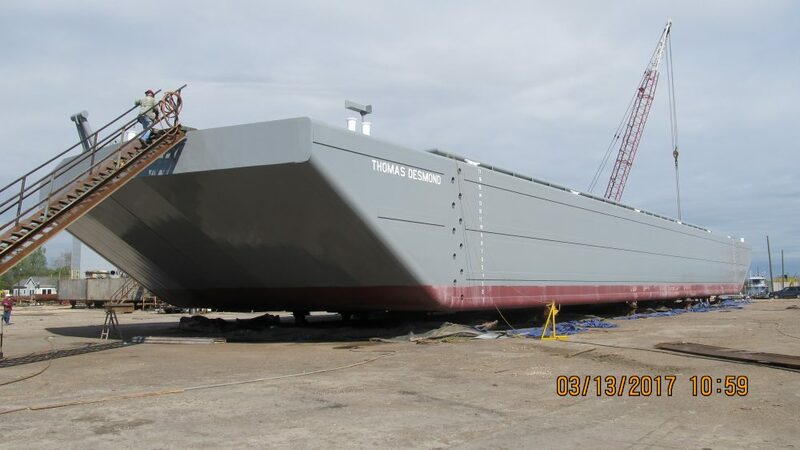 Burnham Associates’ newest vessel, the 3000 CY split hull dump scow THOMAS DESMOND is a 250′ x 52′ x 18′ ABS Loadline certified remote controlled dump scow. It has been fitted with state of the art hydraulic remote controls and is fully Dredge Quality Management ready. The THOMAS DESMOND was built by Sterling Shipyard of Port Neches, TX. and was completed in March 2017.